We just remembered that Wendy photographed Taronga Zoo's beloved Kodiak bear Bethyl, when we visited in April last year. 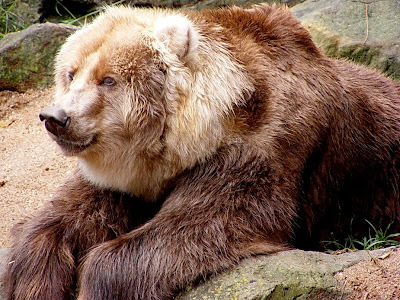 Bethyl was 32 this month and the only Kodiak bear in Australia, she does actually have a little bit of arthritis in her joints so she’s on omega 3 fish oil tablets. 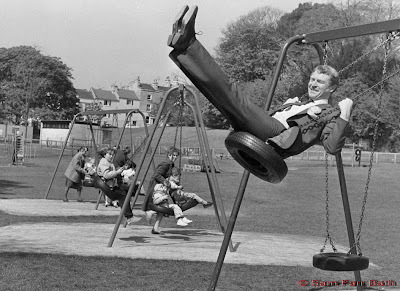 Paddy Ashdown takes to the swings while electioneering in Bath! 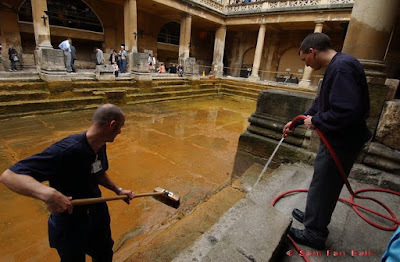 The City of Baths famous Roman Baths are regularly emptied and cleaned due to the high mineral content of the spring water. 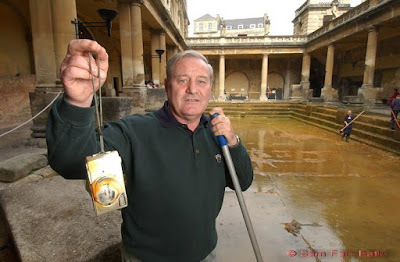 Last time I photographed it they recovered a tourist’s camera that had been in the water for a few months, they did returned it in a very poor state but as it was digital at least the pictures may have survived! 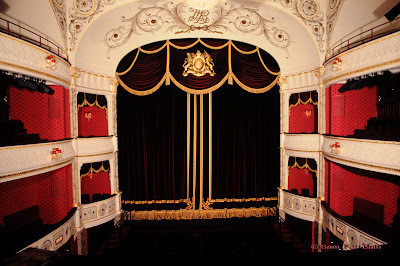 Some years ago I was photographing Bath Theatre Royal; and wanted a picture from the Grey Lady box that is said to be haunted. 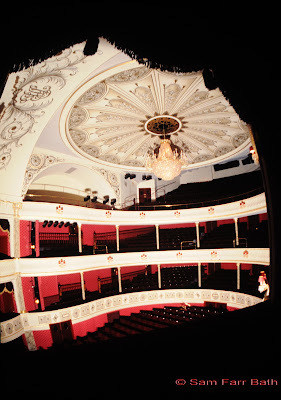 I was in the box when to my horror I watched one of my flash heads (they cost £150 even 25 years ago) topple over the edge of the circle and crash to the floor of the empty theatre. I was quite certain that the flash head had been standing on a good surface and was quit secure. I have often wondered if the Grey Lady gave it a push because I was in her box. 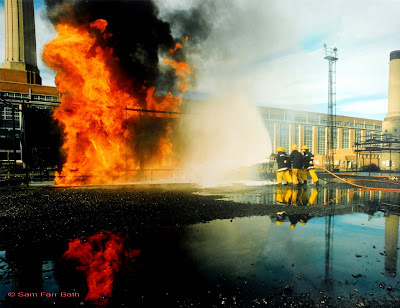 Staff practice tackling an oil fire at the old CEGB Safety Training School in Uskmouth. Taken for Power News about 25 years ago. 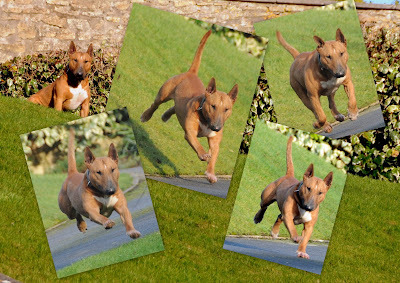 When we had our usual walk around the village today and next doors dog made his usual very aggressive run at the fence. But was busy wagging his tail before we arrived! a customer’s dog for a couple of minutes! 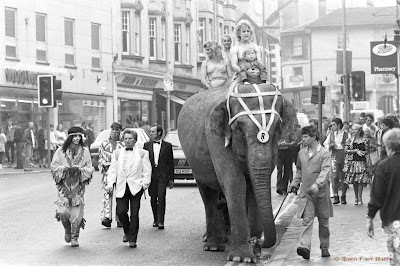 I have just found this black and white half frame transparency, date unknown but obviously pre decimal. 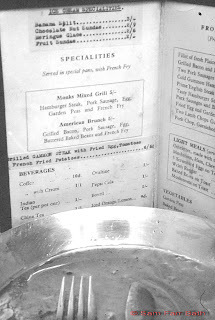 Taken in Monks Coffee House in the Abbey Churchyard Bath a mixed grill was 25p and tea 5p. To put it into context Wendy was earning £5 a week at that time. Good enough for Barack Obama. Watching the marching bands in the US presidential parade yesterday, I was reminded of Midsomer Norton Marching Brass who were one of the regular winners of national titles. 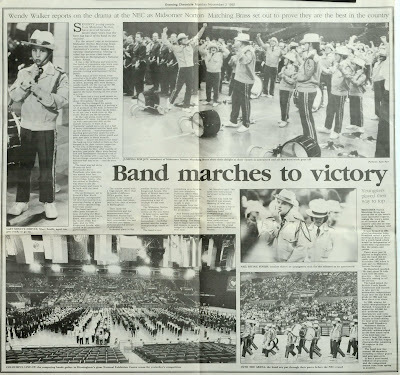 In 1992 I went to the NEC in Birmingham with reporter Wendy Walker for the National Championships where they beat 11 other Premier class bands. 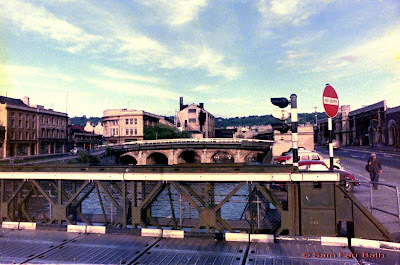 This is a colour negative from the 60s when the Churchill Bridge over the river Avon was being built to replace the Old Bridge in 1966. The picture is from one of the two Bailey Bridges that carried the traffic while the new bridge was built. Notice Churchill House in the centre and the old generating plant that was demolished to build a new bus station. Lonely Planet Guide to Cuba! 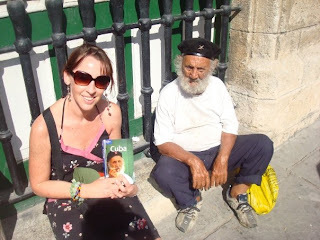 Family friend Helen Ennis has just returned from Cuba and as you can see she met the guy on the front of this year's Lonely Planet Guide to Cuba! 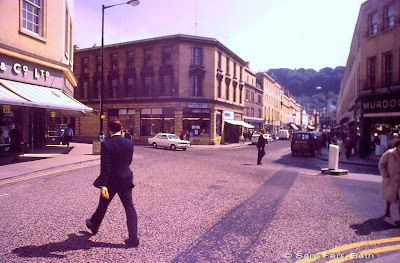 I have just re scanned this picture of Southgate Street taken in June 1971. 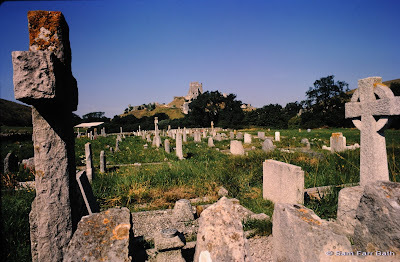 This time I scanned it HDR and though it looks false it has brought out a great deal of shadow detail. 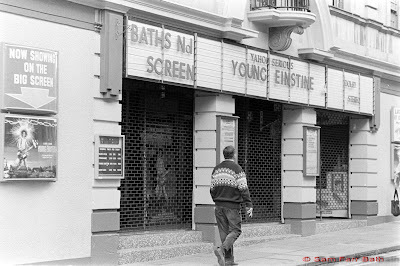 The old Beau Nash cinema in Westgate Street shows an eye for comedy by misspelling Young Einstein. The 1920’s cinema in now a Komedia Comedy Club! Look out the Russians are coming! 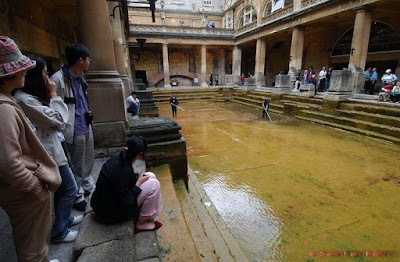 I sometimes use my site meter to look through the people who bother to check this blog. 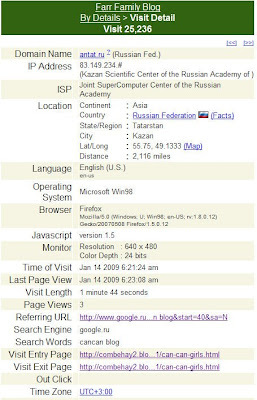 To my surprise I found a visitor from the Kazan Scientific Centre of the Russian Academy of Sciences which is one of the leading world scientific centres in the field of magnetic radio spectroscopy, using as ISP the Joint Supercomputer centre of the Russian academy. 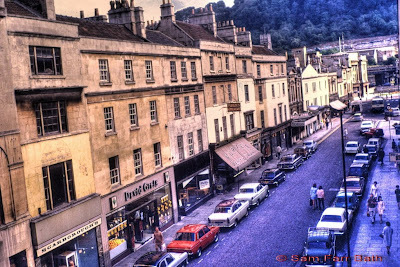 Which of the many cold war secrets of the Bath area were they after, well it was Can Can de Genevieve a troupe of Can Can dancers based in the Bath area. For the technical among you, please note a low screen res and Firefox used with Windows 98! 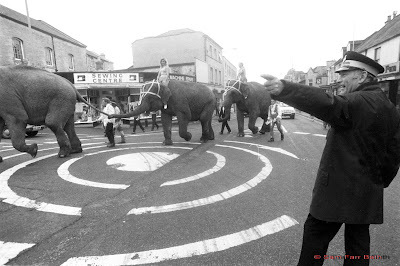 I'm sorry you can’t park that elephant there sir! 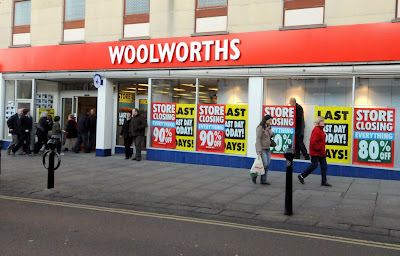 I wonder if the elephants will remember the wonder of Woolworths! 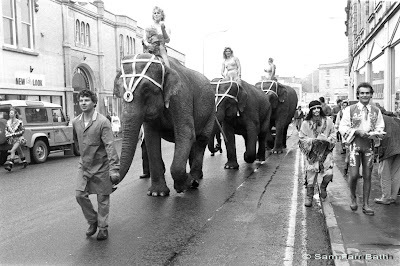 The circus comes to Chippenham, taken in the days when circus’s travelled with elephants and always paraded them down the main street of the town for publicity. 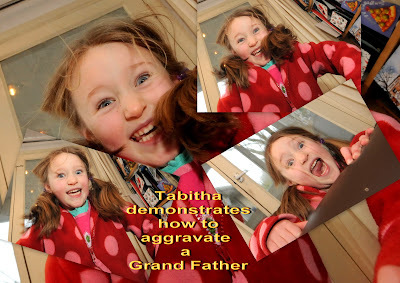 Something that I’m sure the health and safety department on Chippenham council would object to now! the 1983 Yellow Pages Advert. 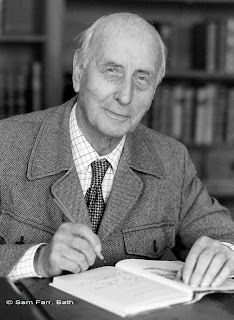 in November 2001 age 95. Frosty morning in Combe Hay. 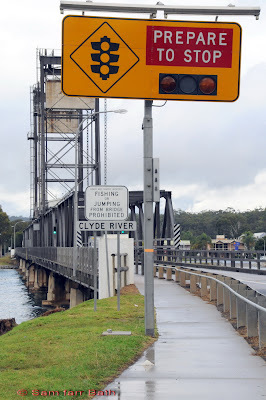 Well not really, it’s an Australian Woolworths where they sell mainly food and it’s not a desert island it’s at Batemans Bay NSW where it’s apparently against the law to fish or jump off the bridge into the Clyde River but you can get away with dumping a supermarket trolley! 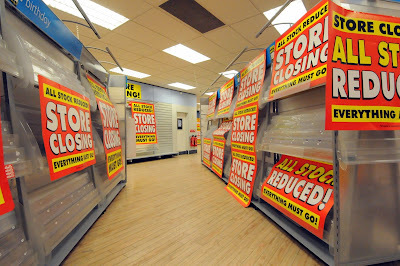 Last day of Woolworths in Chippenham! 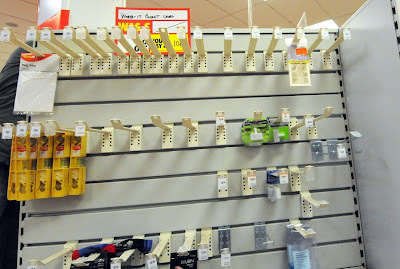 3pm and the window prices drop from 80% off to 90%. 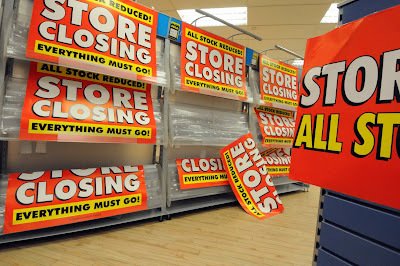 Though it was a sad day all the staff seemed cheerful and happy, maybe it was shell shock because the store seems to have gone from a thriving business to liquidation in less than a month! 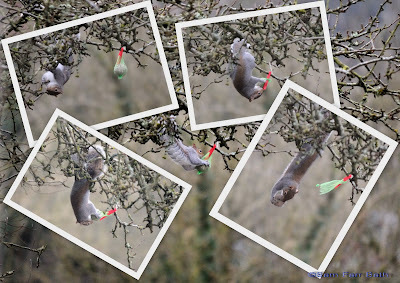 Where did the bird’s fat ball go! 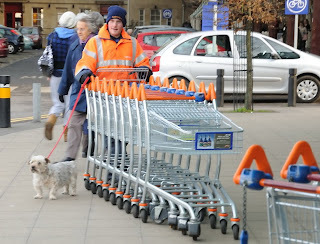 Woolworth trolley on Desert Island Disks!